Available from 18th March 2019. A two bedroom first floor apartment (with lift) with private South facing balcony in the popular Capitol Square development. 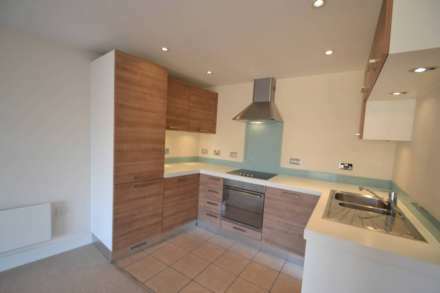 The property features an open plan living room/kitchen with integral appliances. Balcony off the lounge. Master bedroom with fitted wardrobe and ensuite bathroom/WC, further bedroom and shower room/WC. Oak effect flooring throughout. One allocated parking space. Available furnished from 18th March 2019.